I mentioned my misgiving about the reboot of Charmed earlier (here) and unfortunately, I was not wrong. Feel free to stop reading if you haven’t watched Season 1. From the very first episode, where they were trying to establish the connections between all the characters, the mom kept referring to the girls as her daughters and they kept calling her mom, which was not only redundant, but condescending lol Did they really need to spell everything out for the viewers? I mean I know people can be slow, but dang, who’s The CW’s target audience exactly? 4 year olds? I could not believe the cheezy sound effect they chose to signify the “White Lighter” (dubbed Megan Markle… I’m not joking) teleporting in or out. One of the bad guys legit looked like a Game of Thrones reject (or a White Walker wannabe, rather). Worst of all, was the dialogue, with terms like “extra” and “live your best life” being thrown around a lot. The most used and abused one was “lit”. Everything was lit, lit, lit. Once again, The CW (just like Riverdale, ugh) had completely missed the mark. Despite being the newer, younger and supposedly fresher version of a 20 year old show, not one thing thing reflected that! It didn’t even live up to the hype and drama surrounding the reboot itself (before it aired). I waited for a few episode to pile up so I could binge-watch them, but found the whole show quite underwhelming and frankly disappointing. Maybe I’m too old now, but each episode felt like it dragged on and on and on… Nothing came across as intelligent or quirky or “charming”. Mostly, it felt very… rushed and not well thought out (get your ish together, CW). 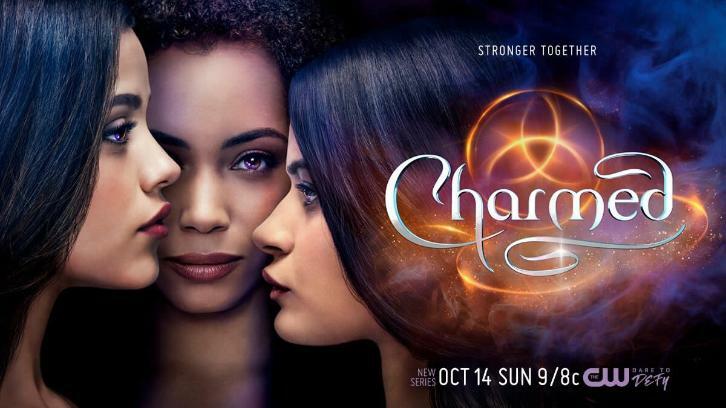 I stand by my earlier prediction that the show will get axed early on, because Charmed certainly didn’t hold a candle to its predecessor!